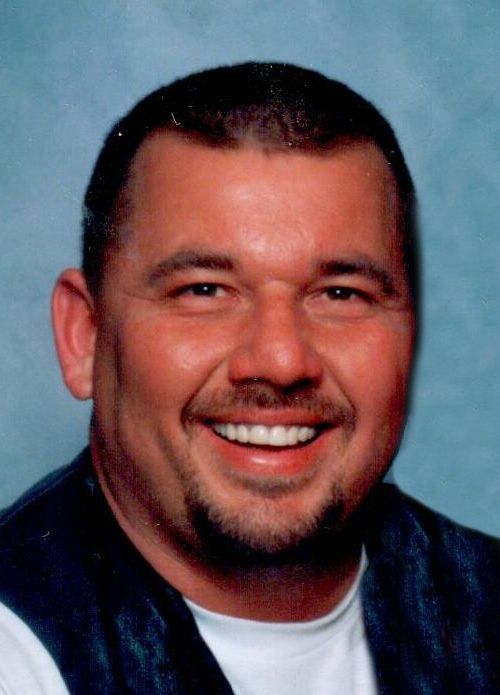 Mark A. Klein, age 54, of Winona, passed away unexpectedly on Sunday, March 17, 2019, at his home. He was born on April 28, 1964, in Arcadia, WI, to Floyd and Magdalene (Kupietz) Klein, and was united in marriage with Lisa Evenson on March 22, 2002, at St. Bartholomew’s Catholic Church in Trempealeau. Mark was currently employed with Solvay (Cytec-Fiberite) in Winona, and was a member of St. Bartholomew’s Catholic Church in Trempealeau. He will be remembered for his enjoyment of working on cars, riding his motorcycle, and the devotion he had to helping his mother. Mark loved being outdoors doing yardwork, and he loved to hunt turkey and deer, and he even tried bear hunting. He was a beloved son, husband, dad, grandpa, brother, uncle and friend who will be deeply missed by all those who knew and loved him. Mark is lovingly survived by his wife, Lisa; children: Katie Klein, Aaron (Gabrielle) Klein, and Amanda (Julio) Contento; 13 grandchildren; 6 brothers and sisters; numerous nieces and nephews, as well as other relatives and friends. He was preceded in death by his parents, an infant grandchild, and one brother. The recitation of the Most Holy Rosary will be held at 5:45 PM on Sunday, March 24, 2019, at the Watkowski-Mulyck Funeral Home, with visitation following the Rosary from 6 PM until 8 PM. Visitation will also be held from 10 AM until the Mass of Christian Burial at 11 AM on Monday, March 25, 2019, at St. Bartholomew’s Catholic Church in Trempealeau, WI. Mark will be laid to rest in Holy Cross Cemetery, Trempealeau. Pallbearers will be: Aaron Klein, Loren Klein, Kevin Evenson, Scott, Evenson, Derrick Hammer, and Todd Horman.